The Lanai is a three bedroom, two bathroom apartment home that includes faux wood flooring, a one car detached garage, a full size washer and dryer, a corner fireplace, a walk in closet and a screened in patio. 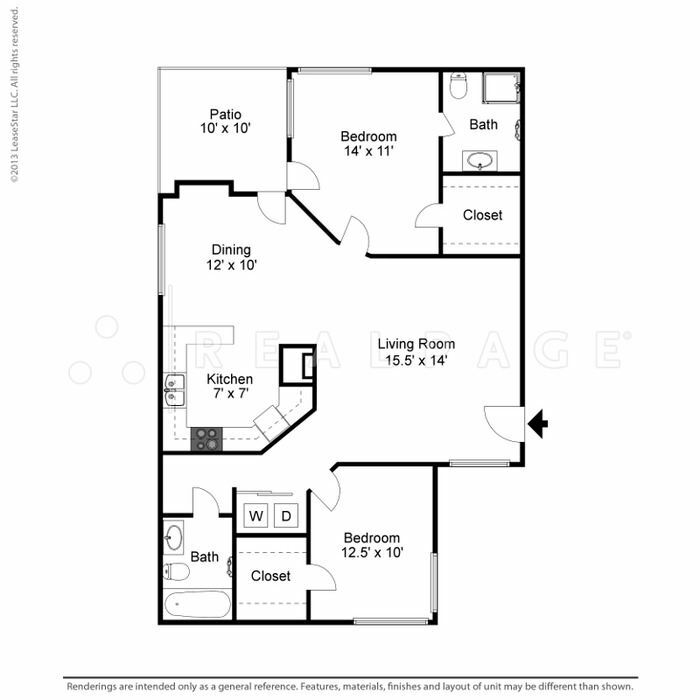 Premium floorplans also include silver appliances, crown molding, modern lighting and a custom built mantel. 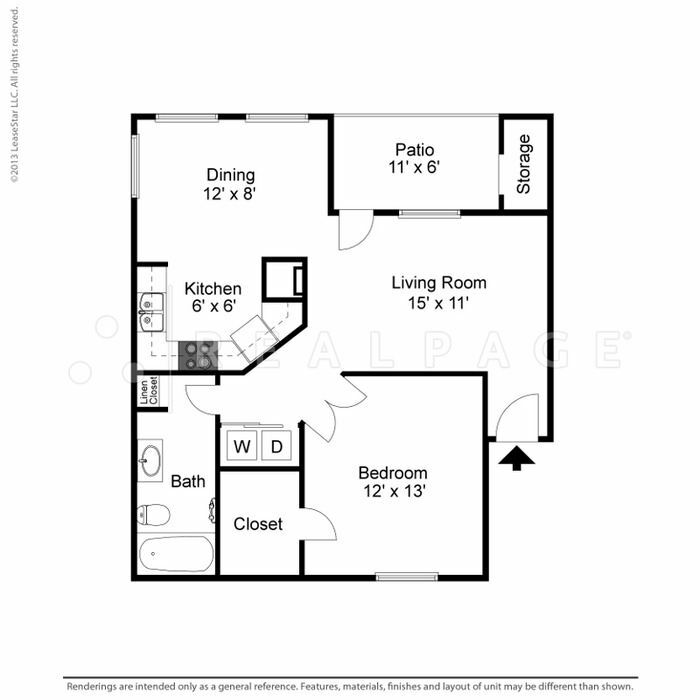 This unit includes a full size washer and dryer, a corner fireplace, walk in closet and a screened in patio. Premium units also include faux wood flooring, silver appliances, crown molding, modern lighting and a custom built mantel. Elements of Belle Rive Apartments are at the center of it all in Jacksonville, but you will feel as if you are comfortably nestled within our peaceful, waterside community. 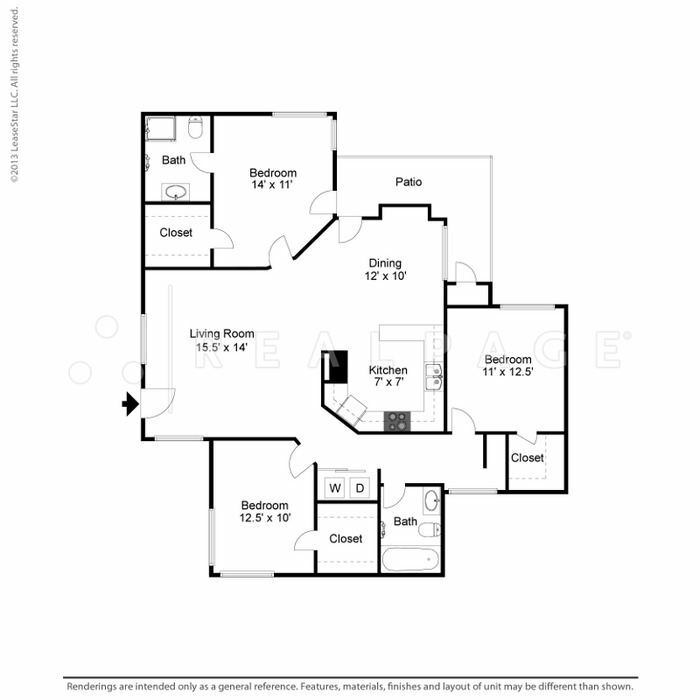 With three spacious, well-appointed floorplans, we are sure you will find a home that truly fits your lifestyle. Your pets are not only welcome at Elements of Belle Rive, they are considered family here! Living here is much more than living in an apartment community…it’s a way of life. Elements of Belle Rive - modern elegance at its best!